I have so many recipes here using roasted cumin seeds. I thought why not share how to roast as well. Why? 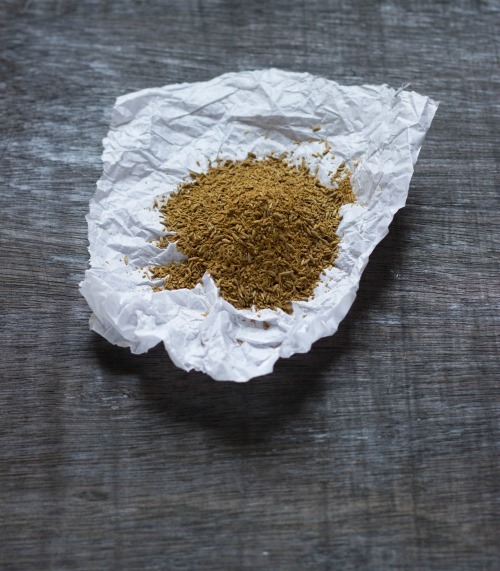 Because roasted cumin seeds powder is an essential spice in my kitchen. Because sprinkling roasted cumin seeds on buttermilk, raita or a salad adds a wonderful flavour to the dish. 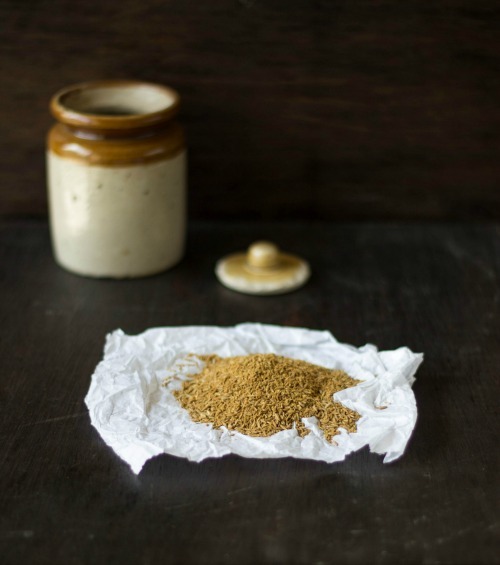 Roasting cumin seeds at home is so easy that it is a shame to buy it. Do you I need to convince you more? All you need is cumin seeds and a thick bottom pan/ gridle. 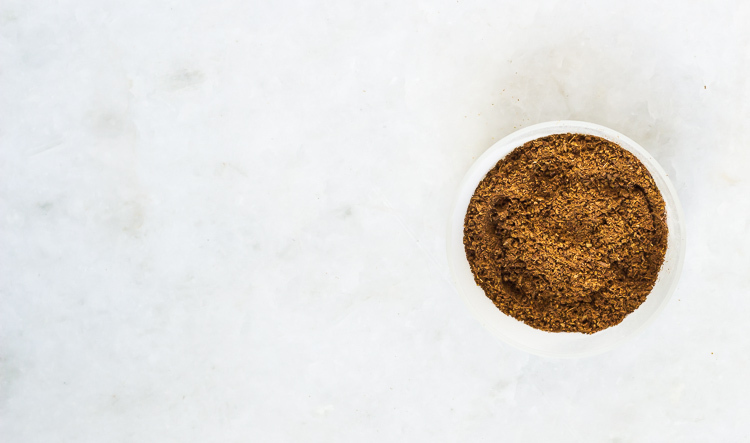 You may grind the roasted using a mortar & pestle, a rolling pin on counter or in grinder. Though the taste & smell of freshly roasted & ground cumin seeds is unbeatable but this works wonderfully too. A spice which is always found in my pantry. It is easy to make and adds flavour to dips & yoghurts. Place a heavy bottom pan on slow flame. Roast the cumin seeds on it gently stirring all the while to ensure even roasting. Within few minutes it will start emitting roasted aroma and the colour will change. Remove pan from fire. 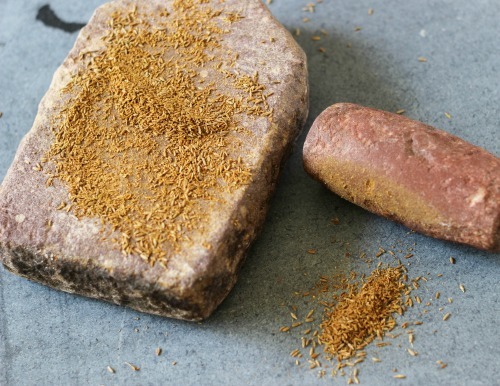 Place 1/2 Tbsp of roasted cumin seeds on a mortar or platform and gently grind it using a pestle/ rolling pin. For best result, grind it when still hot. Or it may absorb some moisture and become slightly soggy to grind. If it happens then just lightly roast again for a minute or so. 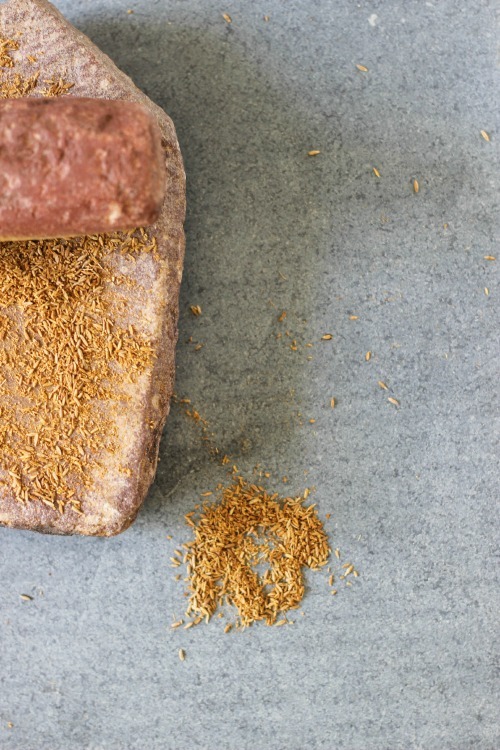 If grinding on a mortar or counter top, then it is advised to place a plate/ baking sheet under the mortar to catch any flying seeds during grinding.